Liczba stron: 731 Jest to ujednolicona liczba stron, która ułatwi Ci porównanie długości książek. Każda strona Legimi to 200 słów. 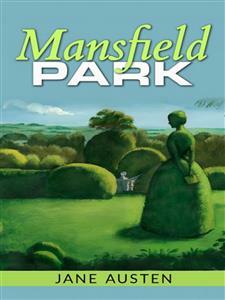 Mansfield Park has become one of the most widely read and influential books ever written.It reveals the astounding range, subtlety, artistry, and depth of thought of a true literary colossus, Jane Austen.Published in hundreds of editions and translated into virtually every modern language, it has not been out of print since 1814.Mansfield Park is one of Jane Austen’s rare and genuine masterpieces; an enchanting work of artistry deserving of the label in a thousand different ways. It can be found on countless lists of the finest literary works of all time, and is one of her major achievements.Jane Austen (1775-1817), one of the greatest English authors, transformed the art of fiction. Author of numerous novels, including Pride and Prejudice, Emma, Mansfield Park, and Mansfield Park, she is considered to be a central figure in the development of the modern novel. Their homes were so distant, and the circles in which they moved so distinct, as almost to preclude the means of ever hearing of each other's existence during the eleven following years, or, at least, to make it very wonderful to Sir Thomas that Mrs. Norris should ever have it in her power to tell them, as she now and then did, in an angry voice, that Fanny had got another child. By the end of eleven years, however, Mrs. Price could no longer afford to cherish pride or resentment, or to lose one connexion that might possibly assisther. A large and still increasing family, an husband disabled for active service, but not the less equal to company and good liquor, and a very small income to supply their wants, made her eager to regain the friends she had so carelessly sacrificed; and she addressed Lady Bertram in a letter which spoke so much contrition and despondence, such a superfluity of children, and such a want of almost everything else, as could not but dispose them all to a reconciliation. She was preparing for her ninth lying-in; and after bewailing the circumstance, and imploring their countenance as sponsors to the expected child, she could not conceal how important she felt they might be to the future maintenance of the eight already in being. Her eldest was a boy of ten years old, a fine spirited fellow, who longed to be out in the world; but what could she do? Was there any chance of his being hereafter useful to Sir Thomas in the concerns of his West Indian property? No situation would be beneath him; or what did Sir Thomas think of Woolwich? or how could a boy be sent out to the East? "My dear Sir Thomas, I perfectly comprehend you, and do justice to the generosity and delicacy of your notions, which indeed are quite of a piece with your general conduct; and I entirely agree with you in the main as to the propriety of doing everything one could by way of providing for a child one had in a manner taken into one's own hands; and I am sure I should be the last person in the world to withhold my mite upon such an occasion. Having no children of my own, who should I look to in any little matter I may ever have to bestow, but the children of my sisters?—and I am sure Mr. Norris is too just—but you know I am a woman of few words and professions. Do not let us be frightened from a good deed by a trifle. Give a girl an education, and introduce her properly into the world,and ten to one but she has the means of settling well, without farther expense to anybody. A niece of ours, Sir Thomas, I may say, or at least of yours, would not grow up in this neighbourhood without many advantages. I don't say she would be so handsome as her cousins. I dare say she would not; but she would be introduced into the society of this country under such very favourable circumstances as, in all human probability, would get her a creditable establishment. You are thinking of your sons—but do not you know that, of all things upon earth, that is the least likely to happen, brought up as they would be, always together like brothers and sisters? It is morally impossible. I never knew an instance of it. It is, in fact, the only sure way of providing against the connexion. Suppose her a pretty girl, and seen by Tom or Edmund for the first time seven years hence, and I dare say there would be mischief. The very idea of her having been suffered to grow up at a distance from us all in poverty and neglect, would be enough to make either of the dear, sweet-tempered boys in love with her. But breed her up with them from this time, and suppose her even to have the beauty of an angel, and she will never be more to either than a sister." Except to the attack on Nanny's cousin, Sir Thomas no longer made any objection, and a more respectable, though less economical rendezvous being accordingly substituted, everything was considered as settled, and the pleasures of so benevolent a scheme were already enjoyed. The division of gratifying sensations ought not, in strict justice, to havebeen equal; for Sir Thomas was fully resolved to be the real and consistent patron of the selected child, and Mrs. Norris had not the least intention of being at any expense whatever in her maintenance. As far as walking, talking, and contriving reached, she was thoroughly benevolent, and nobody knew better how to dictate liberality to others; but her love of money was equal to her love of directing, and she knew quite as well how to save her own as to spend that of her friends. Having married on a narrower income than she had been used to look forward to, she had, from the first, fancied a very strict line of economy necessary; and what was begun as a matter of prudence, soon grew into a matter of choice, as an object of that needful solicitude which there were no children to supply. Had there been a family to provide for, Mrs. Norris might never have saved her money; but having no care of that kind, there was nothing to impede her frugality, or lessen the comfort of making a yearly addition to an income which they had never lived up to. Under this infatuating principle, counteracted by no real affection for her sister, it was impossible for her to aim at more than the credit of projecting and arranging so expensive a charity; though perhaps she might so little know herself as to walk home to the Parsonage, after this conversation, in the happy belief of being the most liberal-minded sister and aunt in the world. "Very true," cried Mrs. Norris, "which are both very important considerations; and it will be just the same to Miss Lee whether she has three girls to teach, or only two—there can be no difference. I only wish I could be more useful; but you see I do all in my power. I am not one of those that spare their own trouble; and Nanny shall fetch her, however it may put me to inconvenience to have my chief counsellor away for three days. I suppose, sister, you will put the child in the little white attic, near the old nurseries. It will be much the best place for her, so near Miss Lee, and not far from the girls, and close by the housemaids, who could either of them help to dress her, you know, and take care of herclothes, for I suppose you would not think it fair to expect Ellis to wait on her as well as the others. Indeed, I do not see that you could possibly place her anywhere else." They were a remarkably fine family, the sons very well-looking, the daughters decidedly handsome, and all of them well-grown and forward of their age, which produced as striking a difference between the cousins in person, as education had given to their address; and no one would have supposed the girls so nearly of an age as they really were. There were in fact but two years between the youngest and Fanny. Julia Bertram was only twelve, and Maria but a year older. The little visitor meanwhile was as unhappy as possible. Afraid of everybody, ashamed of herself, and longing for the home she had left, she knew not how to look up, and could scarcely speak to be heard, or without crying. Mrs. Norris had been talking to her the whole way from Northampton of her wonderful good fortune, and the extraordinary degree of gratitude and good behaviour which it ought to produce, and her consciousness of misery was therefore increased by the idea of its being a wicked thing for her not to be happy. The fatigue, too, of so long a journey, became soon no trifling evil. In vain were the well-meant condescensions of Sir Thomas, and all the officious prognostications of Mrs. Norris that she would be a good girl; in vain did Lady Bertram smile and make her sit on the sofa with herself and pug, and vain was even the sight of a gooseberry tart towards giving her comfort; she could scarcelyswallow two mouthfuls before tears interrupted her, and sleep seeming to be her likeliest friend, she was taken to finish her sorrows in bed. "This is not a very promising beginning," said Mrs. Norris, when Fanny had left the room. "After all that I said to her as we came along, I thought she would have behaved better; I told her how much might depend upon her acquitting herself well at first. I wish there may not be a little sulkiness of temper—her poor mother had a good deal; but we must make allowances for such a child—and I do not know that her being sorry to leave her home is really against her, for, with all its faults, it was her home, and she cannot as yet understand how much she has changed for the better; but then there is moderation in all things." "My dear little cousin," said he, with all the gentleness of an excellent nature, "what can be the matter?" And sitting down by her, he was at great pains to overcome her shame in being so surprised, and persuade her to speak openly. Was she ill? or was anybody angry with her? or had she quarrelled with Maria and Julia? or was she puzzled about anything in her lesson that he could explain? Did she, in short, want anything he could possibly get her, or do for her? For a long while no answer could be obtained beyond a "no, no—not at all—no, thank you"; but he still persevered; and no sooner had he begun to revert to her own home, than her increased sobs explained to him where the grievance lay. He tried to console her. On pursuing the subject, he found that, dear as all these brothers and sisters generally were, there was one among them who ran more in her thoughts than the rest. It was William whom she talked of most, and wanted most to see. William, the eldest, a year older than herself, her constant companion and friend; her advocate with her mother (of whom he was the darling) in every distress. "William did not like she should come away; he had told her he should miss her very much indeed." "But William will write to you, I dare say." "Yes, he had promised he would, but he had told her to write first." "And when shall you do it?" She hung her head and answered hesitatingly, "she did not know; she had not any paper." Fanny thought it a bold measure, but offered no further resistance; and they went together into the breakfast-room, where Edmund prepared her paper, and ruled her lines with all the goodwill that her brother could himself have felt, and probably withsomewhat more exactness. He continued with her the whole time of her writing, to assist her with his penknife or his orthography, as either were wanted; and added to these attentions, which she felt very much, a kindness to her brother which delighted her beyond all the rest. He wrote with his own hand his love to his cousin William, and sent him half a guinea under the seal. Fanny's feelings on the occasion were such as she believed herself incapable of expressing; but her countenance and a few artless words fully conveyed all their gratitude and delight, and her cousin began to find her an interesting object. He talked to her more, and, from all that she said, was convinced of her having an affectionate heart, and a strong desire of doing right; and he could perceive her to be farther entitled to attention by great sensibility of her situation, and great timidity. He had never knowingly given her pain, but he now felt that she required more positive kindness; and with that view endeavoured, in the first place, to lessen her fears of them all, and gave her especially a great deal of good advice as to playing with Maria and Julia, and being as merry as possible. As her appearance and spirits improved, Sir Thomas and Mrs. Norris thought with greater satisfaction of their benevolent plan; and it was pretty soon decided between them that, though far from clever, she showed a tractable disposition, and seemed likely to give them little trouble. A mean opinion of her abilities was not confined to them. Fanny could read, work, and write, but she had been taught nothing more; and as her cousins found her ignorant of many things with which they had been long familiar, they thought her prodigiously stupid, and for the first two or three weeks were continually bringing some fresh report of it into the drawing-room. "Dear mama, only think, mycousin cannot put the map of Europe together—or my cousin cannot tell the principal rivers in Russia—or, she never heard of Asia Minor—or she does not know the difference between water-colours and crayons!—How strange!—Did you ever hear anything so stupid?" "To be sure, my dear, that is very stupid indeed, and shows a great want of genius and emulation. But, all things considered, I do not know whether it is not as well that it should be so, for, though you know (owing to me) your papa and mama are so good as to bring her up with you, it is not at all necessary that she should be as accomplished as you are;—on the contrary, it is much more desirable that there should be a difference." To the education of her daughters Lady Bertram paid not the smallest attention. She had not time for such cares. She was a woman who spent her days in sitting, nicely dressed, on a sofa, doing some long piece of needlework, of little use and no beauty, thinking more of her pug than her children, but very indulgent to the latter when it did not put herself to inconvenience, guided in everything important by Sir Thomas, and in smaller concerns by her sister. Had she possessed greater leisure for the service of her girls, she would probably have supposed it unnecessary, for they were under the care of a governess, with proper masters, and could want nothing more. As for Fanny's being stupid at learning, "she could only say it was very unlucky, but some people were stupid, and Fanny must take more pains: she did not know what else was to be done; and, except her being so dull, she must add she saw no harm in the poor little thing, and always found her very handy and quick in carrying messages, and fetching what she wanted." Amid the cares and the complacency which his own children suggested, Sir Thomas did not forget to do what he could for the children of Mrs. Price: he assisted her liberally in the education and disposal of her sons as they became old enough for a determinate pursuit; and Fanny, though almost totally separated from her family, was sensible of the truest satisfaction in hearing of any kindness towards them, or of anything at all promising in their situation or conduct. Once, and once only, in the course of many years, had she the happiness of being with William. Of the rest she saw nothing: nobody seemed to think of her ever going amongst them again, even for a visit, nobody at home seemed to want her; but William determining, soon after her removal, to be a sailor, was invited to spend a week with his sister in Northamptonshire before he went to sea. Their eager affection in meeting, their exquisite delight in being together, their hours of happy mirth, and moments of serious conference, may be imagined; as well as the sanguine views andspirits of the boy even to the last, and the misery of the girl when he left her. Luckily the visit happened in the Christmas holidays, when she could directly look for comfort to her cousin Edmund; and he told her such charming things of what William was to do, and be hereafter, in consequence of his profession, as made her gradually admit that the separation might have some use. Edmund's friendship never failed her: his leaving Eton for Oxford made no change in his kind dispositions, and only afforded more frequent opportunities of proving them. Without any display of doing more than the rest, or any fear of doing too much, he was always true to her interests, and considerate of her feelings, trying to make her good qualities understood, and to conquer the diffidence which prevented their being more apparent; giving her advice, consolation, and encouragement. Fanny sighed, and said, "I cannot see things as you do; but I ought to believe you to be right rather than myself, and I am very much obliged to you for trying to reconcile me to what must be. If I could suppose my aunt really to care for me, it would be delightful to feel myself of consequence to anybody. Here, I know, I am of none, and yet I love the place so well." "The place, Fanny, is what you will not quit, though you quit the house. You will have as free a command of the park and gardens as ever. Even your constant little heart need not take fright at such a nominal change. You will have the same walks to frequent, the same library to choose from, the same people to look at, the same horse to ride." "Me! never. I never spoke a syllable about it to Sir Thomas, nor he to me. Fanny live with me! the last thing in the world for me to think of, or for anybody to wish that really knowsus both. Good heaven! what could I do with Fanny? Me! a poor, helpless, forlorn widow, unfit for anything, my spirits quite broke down; what could I do with a girl at her time of life? A girl of fifteen! the very age of all others to need most attention and care, and put the cheerfullest spirits to the test! Sure Sir Thomas could not seriously expect such a thing! Sir Thomas is too much my friend. Nobody that wishes me well, I am sure, would propose it. How came Sir Thomas to speak to you about it?" "But what did he say? He could not say he wished me to take Fanny. I am sure in his heart he could not wish me to do it." "Dear sister, if you consider my unhappy state, how can she be any comfort to me? Here am I, a poor desolate widow, deprived of the best of husbands, my health gone in attending and nursing him, my spirits still worse, all my peace in this world destroyed, with hardly enough to support me in the rank of a gentlewoman, and enable me to live so as not to disgrace the memory of the dear departed—what possible comfort could I have in taking such a charge upon me as Fanny? If I could wish it for my own sake, I would not do so unjust a thing by the poor girl. She is in good hands, and sure of doing well. I must struggle through my sorrows and difficulties as I can." "Lady Bertram, I do not complain. I know I cannot live as I have done, but I must retrench where I can, and learn to be a better manager. I have been a liberal housekeeper enough, but I shall not be ashamed to practise economy now. My situation is as much altered as my income. A great many things were due from poor Mr. Norris, as clergyman of the parish, that cannot be expected from me. It is unknown how much was consumed in our kitchen by odd comers and goers. At the White House, matters must be better looked after. I must live within my income, or I shall be miserable; and I own it would give me great satisfaction to be able to do rather more, to lay by a little at the end of the year." The Grants showing a disposition to be friendly and sociable, gave great satisfaction in the main among their new acquaintance. They had their faults, and Mrs. Norris soon found them out. The Doctor was very fond of eating, and would have a good dinner every day; and Mrs. Grant, instead of contriving to gratify him at little expense, gave her cook as high wages as they did at Mansfield Park, and was scarcely ever seen in her offices. Mrs. Norris could not speak with any temper of such grievances, nor of the quantity of butter and eggs that were regularly consumed in the house. "Nobody loved plenty and hospitality more than herself; nobody more hated pitiful doings; the Parsonage, she believed, had never been wanting in comforts of any sort, had never borne a bad character in her time, but this was a way of going on that she could not understand. A fine lady in a country parsonage was quite out of place. Her store-room, she thought, might have been good enough for Mrs. Grant to go into. Inquire where she would, she could not find out that Mrs. Grant had ever had more than five thousand pounds." Tom Bertram had of late spent so little of his time at home that he could be only nominally missed; and Lady Bertram was soon astonished to find how very well they did even without his father, how well Edmund could supply his place in carving, talking to the steward, writing to the attorney, settling with the servants, and equally saving her from all possible fatigue or exertion in every particular but that of directing her letters. The earliest intelligence of the travellers' safe arrival at Antigua, after a favourable voyage, was received; though not before Mrs. Norris had been indulging in very dreadful fears, and trying to make Edmund participate them whenever she could get him alone; and as she depended on being the first person made acquainted with any fatal catastrophe, she had already arranged the manner of breaking it to all the others, when Sir Thomas's assurances of their both being alive and well made it necessary to lay by her agitation and affectionate preparatory speeches for a while. The winter came and passed without their being called for; the accounts continued perfectly good; and Mrs. Norris, in promoting gaieties for her nieces, assisting their toilets, displaying their accomplishments, and looking about for their future husbands, had so much to do as, in addition to all her own household cares, some interference in those of her sister, and Mrs. Grant's wasteful doings to overlook, left her very little occasion to be occupied in fears for the absent.